Here are some good things that the users have been saying about our WordPress plugins. Feel free to send us your feedback via email or leave it in the comment section below. OMG! Your WordPress plugins work beautifully! You are amazing. I’m having so much fun designing my site with your tools. My hair wants cutting and my nails need filing but I spend every moment I can working on my site. I’m going to have to get a video camera just so I have an excuse to buy Lightbox Ultimate. Actually, I’m going to just buy it as a tangible thank you. If you are looking for a way to sell products or services on your blog, out of all the plugins I checked out, and believe me I checked out many; eStore, eMember and affiliate platform bundle is the simplest most user friendly easy to install plugins I’ve found for what I want to do. I will never spend a cent in order to set up a proper business model and structure but I EXPECT everyone else in the world to somehow pay me money. If you are selling digital products and you have never tried WP eStore then you have got to give this product a go! It is simply amazing how easy it is to sell digital products with this plugin! Let me just say – eStore is definitely the best-est shopping cart plugin and eMember is the best-est membership plugin I found. I checked nearly EVERY SINGLE ONE. And support – probably defines the concept of offering support to customers. Ive been kind of blessed both with my theme seller and my plugin sellers – you are definitely the most awesomest 🙂 wordpress-angel around – Ivy. Ill provide the tutorial for free. Love your software for WordPress – in large part because not only do they work well, you also have accurate and easy to implement instructions. Glad I found your stuff. I want to emphasize again that this is hands down the best shopping cart solution and one of the better combination of plugins that I have seen yet for WordPress. Worth every penny. Wow! Thank you so much. I think I have to adjust something, but the code you gave me works. The plugin is just unbelievable, and your support is great. your plugin = the best 49 dollars I’ve spent in my life! I purchased the wp estore plugin a few weeks ago I just wanted to come back here and say thanks. I have had some sales and no one has had any problems checking out and/or downloading their digital files! I use wordpress on a non apache server so I was worried that there would be issues with “url rewriting” (like I have had with other plugins that do anything with urls). There were actually no problems at all it just works perfectly for me. We found this plugin right after we commented on the Shopping Cart plugin yesterday, and it’s exactly what we needed. So you’re awesome. Brilliant. A nice easy simple solution that works and performs as it should. Thank you for the personal !prompt! support helping getting the plug-in working. Really liking the plugin so far. I am very happy with the WP eStore, WP eMember and WP Affiliate Platform already as is! I have been away for a while and need to catch up, looks like you have been busy cooking up some amazing plugins for word press. I shall say it; www.tipsandtricks-hq.com is THE place – right now. You are amongst the very best – if not the VERY best! Congratulations on a great set of plug-ins, it’s worth every penny, well done! Thanks for the support! Truly the best WordPress product and Support out there! I just wanted to say that your plugin rocks. I had spent money on the wp-ecommerce when it came out,wasted money on Gold Cart and grid, drag and drop plugins and have never, in 2 years been able to get it to function properly. For that matter, ever had a product listed. Just goes to show that if you spend too much effort trying to add so much crap, it never runs smoothly.. Your plugin suits me. I adapt the K.I.S.S policy with it…. Keep It Simple Stupid! I just wanted to put in an unsolicited plug for this product and Amin. As a former programmer myself I know how much work went into this eStore – and it does work right out of the box, including the PayPal IPN interface which I remember took me forever to get right in perl years ago. Furthermore, when I contacted Amin about a couple of required tweaks that I noticed, he immediately fixed them and sent updates which had loads more features installed. The affiliate program works well too and also by the way makes a fantastic keyword tracker, hidden benefit. Anyway, I promise I do not know Amin from Adam but I am please to put in a good word. I just downloaded this and within 5 minutes, I was up and running. I had been using Quick Shop in a site with about 4,000 hard-goods products. But when I switched to WP 2.91, it didn’t work anymore and the developer’s web page says that they will get around to updating when they get time!??! Reviewed eight other shopping cart apps before I found this one. I’ve looked at all of your product pages and reviewed the requests for support comments. You are amazingly supportive. In all cases you answer quickly and in easy to understand language. I also purchased the WP e-store app because I have another site I am developing with digital products. I have no doubt that will be just as easy. Thank you but I have to go. I need to change the trigger text to wp_store in another 3,999 products. I recently purchased and installed EStore. The purchase process was smooth and I got to see the plugin in action as I was buying! As with nost WordPress plugins, installation is super simple, and after watching the videos on the support site, I was able to setup and test my first downloadable product without any hitches (after removing Bad Behavior Plugin). Worked like a charm! This plugin is a no-brainer if you have digital products to sell. Easily beats the typical (expensive) e-commerce alternatives and from what I’ve seen of the EStore forum, the support is very good. Great value for money!! Highly recommended! Don’t forget to checkout some of the comments below too. Checkout the following link for a list of eStore reviews. more user friendly than the one prior that somebody else had set up. login/pword to Luke right away, with gratitude to all of you. I have to say I love your plugins. The All in 1 security plugin works a dream! I have had a lot of security issues in the past with various WordPress sites. Upon discovering your security plugin, I haven’t had a site compromised once! I couldn’t recommend you guys and your plugins enough! WP-EStore is a fantastic plug but you know what is even better? Their customer support. I was plagued with figuring out the shipping values for a physical product, I did everything I could think of to get it to work, it didn’t. I exchanged emails with Luke, who patiently walked me through the process. Of course it was operator error, mine and once fixed all was well. It’s great to work with a group of dedicated professionals, who are not only friendly but KNOW what they are talking about. Thanks, guys… Now I can deliver the site to my client and send an invoice..
Just wanted to offer a testimonial. I am not a website designer, but do everything on my own site. The eStore and eMember plugins are amazing and so easy to use! The tutorials cover just about everything with simple explanations anyone can follow and if you can’t find an answer, they have great support in their forum. I’ve been using WP_eStore for about 2 months. I am so(!) impressed with the functionality, ease of use and the very efficient and accurate support. Could not recommend it highly enough. For anybody reading this review – I have very limited IT skills and have had no insurmountable issues. I’m SO glad I found you guys! I’m still getting the hang of the affiliate thing, but have to say – your plugins are easy to install, the documentation is SO good (very important for folks who are not “techies”), and your customer service and response times are superb. Color me a fan. I just want to let everyone know that the customer service provided by eMember and eStore are fantastic. I am VERY happy to be working with this wonderful program and their team. Thank you so much! Great product but I’m also thrilled with the Support. Could not wish for a better relationship – thank you! Your support is worldclass just like your plugins. Especially to Ivy, thanks so much for being there to help… promises to support sometimes don’t work out that way but here Ivy you made good on it…. many thanks and I hope others will read this and come to know the same. I purchased the eMember and eStore plugins and I am extremely happy with them. Very feature filled and a great value. It can accomodate most every need anyone would have. The support forum is top notch, most questions or problems can be answered by searching the forum. For the few things I couldn’t find I just posted on the forum and within a day I had my answer. I had some custom work done to eMember to make it fit my exact needs and again nothing less than professional. All my concerns were addressed without question. I received a quote along with the details of work to be done with expected outcome. They did not stop until all my expectations were met, even the few issues that popped up from my own doing. I would not hesitate to recommend any of these products. The e-Store and eMember software from Tips and Tricks is perfect. No other word can describe it. We use e-Store, eMember and the Affiliate plug-in on all of our school sites and we find those tools vital for us. They are truly flexible and well written plug-ins that just make our life so much easier – and allows us to concentrate on our business. No other cart software is as flexible as e-Store – and no other member plug-in is as friendly and as feature rich as eMember. It is really hard to find an eShop plugin that also does vouchers well (I tried the big names but found I wasn’t able to do what I needed with them) – I am so glad I found this one! I love that the emails are customisable for every product and shortcodes mean you can put products, checkouts, categories, etc wherever you want in your site. And the most amazing thing is the support – they always get back to you quickly and are extremely helpful answering queries – both before AND after you purchase their product. In addition, I don’t think I’ve seen such thorough documentation to help get you going with the product. I 100% recommend eStore and the voucher AddOn. Wow… first off what an awesome product! Tips and Tricks, eStore’s plugin has truly amazed us. At first we were hesitant to buy, another plugin because the last one we bought from another site, did not live up to its name. But Tips and Tricks eStore plugin does, in every sense of the word! And after reading every article available and watching tutorial You Tube videos… we were ready to buy. We have been using this product for over three weeks now, our site works easier and responds better. We also want to thank Ivy for her professional manner and knowledge about Tips and Tricks eStore’s plugin. And after asking several questions, she always promptly replied with helpful links or articles to help us on our way, and we are so grateful. We are now digital download ready and happy about that. Ivy, thanks again for all your help! We use multiple Tips and Tricks plugins across our own sites and Clients sites including WP eMember, WP eStore and others. The plugins install easily, work without error and the support has always been top notch from Tips and Tricks. Just wanted to say what a great product this is. We are hosting a LearnDash Course Site. Our courses are approved and regulated by the state of Louisiana, and are subject to some scrutiny. We were using WishList Member to protect our courses, but could never get this product to work as advertised. After much back and forth with support, stating our issue was fixed, we could not prove on our site it was. Users still had access to courses they didn’t pay for and member level didn’t allow. Even if they were to get this issue resolved for us, we still didn’t have the ability to issue coupon codes to specific customers, or track commission for salespersons. I started looking into different approved plugins the LearnDash recommended, and approved and thought I had an option for some of it using these, and setup a test site and started testing. This is when one of our owners sent me an email with a link to your products. After viewing your site and many videos, we made the purchase. I have a technical background, so I am pretty good at figuring out software. That being said, setup was very easy, and any questions I had for your support department was handled in a very timely and professional manner. We winded up purchasing the WP eMember+WP eStore+WP Affiliate, and later that night purchased the WP eMember Form Builder Addon, and are using several of the free addons as well to fully customize and manage our site. The functionality, support and piece of mind we now have using this software are not reflected in it’s very reasonable price. We couldn’t be happier. Wow what a fantastic support response! The best ive had and certainly gives me great confidence in buying more of their products. The multi currency widget works a treat!! Excellent works guys. Thank you so much, one happy customer. I had heard that Tips and Tricks HQ had great support, which is one of the reasons I purchased all your plugins. Now I’ve experienced that superior support first hand, and to say the least I am very, very impressed! My husband, Gary Loper is a life, business, social media coach, and teaches how to Build Better Relationships and provide excellent customer service, so I am fully aware of what categorizes someone who has excellent customer service abilities. My experience the other day was exceptional with Ivy. Initially I had a slight problem with installing the plugins. When this has happened before, I have simply had problems contacting customer support for help. That is not the case here. I submitted a small problem and had instant help from the developer Ruhul Armin. HE WAS FANTASTIC! He gave me personal help and I felt like I was liaising with a close friend who gave me a step-by-step guide to putting things right. THANK YOU FOR A FANTASTIC SERVICE AND PRODUCT. Just wanted to tell you how much I appreciate your tech support- Unlike other plug-ins, my questions get answered and I can continue to build my website and fulfill goal of running a business. This is what entrepreneurism is about- thanks! @Suzanne, Thank you for the kind words. I can’t speak highly enough of the lovely Ivy (who always responds to my queries quickly) and the rather marvellous Ruhul, who dived into a challenge, sorted it and wouldn’t even accept a donation when I offered! I wouldn’t hesitate to recommend any products and plugins from Tips & Tricks HQ. Ruhul, you are a “scholar and a gentleman” and I bought an extra copy of eStore & eMember to say thank you. This support team is second to none! Thank you for making a wonderful plugin and thank you for amazing support that comes with it. I could not be more happier. Hey guys – I just want to say thanks. I bought your affiliate/estore/emember bundle. I thought there’d be a lot of issues/problems I’d run into that haven’t been addressed and I’d be posting all over the forums. Not only is the software stellar but so too the documentation and forums. Every issue I’ve run into, I’ve found an answer for on your site… and so I didn’t have to disturb y’all in order to get things moving again. From my standpoint, that spells VALUE… and I just wanted to say thanks. The plug-ins are excellent with lots of useful functions, easy-to-use features and very reliable but what is outstanding is the support through the forum. I am very happy with my purchase, the WP Affiliate Program, and have used it on multiple sites. It integrates well with Shopp and with Woo Commerce, which is what I needed. I also am very, very impressed with the level of support we are offered. I always get a reply and some sort of help with my questions on the forum, and even personalized support recently when I really needed it. These plugin developers do not leave you hanging dry when you need troubleshooting, which to me, is one of the biggest selling points of a product. You can buy a lot of stuff that can function out there, but what’s really important is who’s going to answer your questions and help you when you become dependent on that one piece of software. So kudos to the Tips and Tricks team for their great support! I just wanted to say how much I love WP Lightbox Ultimate! I’m new to WordPress and found it so easy to install and create a video gallery for my website. Your video tutorial on basic set-up was fantastic. I had a few problems getting the plugin to work correctly in WordPress. Everything I read online indicated it was simple to get up and running and yes, using the shortcodes etc was quite easy however, I could never get it to render correctly, it messed up the pages. So I contacted support to assist in finding out what may be the problem. Let me start by saying I’ve never worked with a company that would take so much time in helping me resolve a problem unlike WP EStore. The actual issue was with a social networking plugin that caused the problem, once we replaced that, the WP EStore plugin worked perfectly. Not only does the EStore plugin have so many great features and is very easy to use, but the support I received was far above and beyond what I would have ever expected. I will be making sure I purchase the WP EStore plugin for all of my client’s going forward. I am so happy to see a company that takes the time to care about helping their clients. I just want you to know how much I appreciate your help. Thank you. I really think you guys are awesome. I did an interview just about you for a group of coaches who are new to the business and can’t really afford things like Infusionsoft or 1shoppingcart to give them a suitable option as I had already been using your plugins for some time. It is nice to know as our personal business expands I can still utilize your awesome plugins and your customer support is top notch. Have a great evening. Your wpestore program has been so helpful to me. I am about to release the new store front hopefully November 1st. I would not have made it without your help. Tips and Tricks HQ has the BEST, well behaved, fully integrated, documented and superior support for the eStore, eMember and eAffiliate WP plugins…hands down! These three products I utilize integrate seamlessly and make this a no-brainer for sure but, make NO mistake, each separate plugin is of great value and usefulness! Especially, if you are as selective as I am about spending $$$ for software tool purchases, you will find a great value in the product and support services provided at the Tips and Tricks HQ eCommerce Site! Based on the level of support, I would highly recommend using any of the plugins from this site. I purchased eMember, and when I found that I was doing something wrong that wasn’t letting it do it’s magic, the support team went above and beyond to fix the problem, even though it was at my end! They went behind the scenes of my site and wrote a fix for me. Awesome! You have such terrific support and are responsive. Unusual for anyone today to provide this kind of support. Thank you very much for providing such good products and support! Oh my goodness! I have gone ahead and purchased your product with a bit of trepidation to be honest, watched the tutorials, uploaded something to my shop, tested it and it is working! The last shopping cart product I installed onto my shop with my headway themes crashed the whole site, luckily I had a backup and was able to get everything back. So I was not that confident installing your eStore because of that. However, I dutifully backed up first and followed your instructions and it has worked beautifully. You have no idea how grateful I am. It was so easy. I have even got it integrated with my Aweber list especially for my customers. I am so happy!! Thanks so much, words can not describe how grateful I am. And if anyone is reading this, believe me I am not making this testimonial up, go to my site http://artgrowlove.com and see how “out there” it is and you will understand why I was so worried about mucking it up now that I have it looking “just so”. Thanks again, wonderful wp eStore people. So far I am making a lot of headway and I think that these plugins are the sickest and most useful tools for any one that has wanted this to be a reality for them. With out any of these plugins I do not see how I could have ever made this happen on my own. Thank you! I purchased the eMember/eStore plugin bundle. I am very impressed by the feature list and integration options available. I cannot say enough about their excellent pre-sale customer support. They bent over backwards (very late nights and weekends) to answer all the questions I had, which were many, and all this before I bought a thing. They helped me determine that their product could help me in a very unique application that I had. I am happy to say that everything they said the product could do, it did! I would recommend this to a friend in a heartbeat. Huge thanks to you and the team for not giving up and yes indeed it does appear that it was a memory issue. Although I have built up the site from scratch without any prior experience or knowledge of wordpress or any other website creation tools, I have to admit I had never heard of the memory hosting issue and in fact didn’t know there were different levels that could be set to. However thank goodness you pointed me in the right direction and thanks again for your excellent customer support. Never mind — I asked about this earlier today and Ivy has ALREADY answered me — it’s under add/edit products > additional product details in eStore. Huzzah!!! The only thing i would LOVE is being able to set different commission percentages for different products. I read somewhere that the latest version lets you do this but I just updated and don’t see any difference. Other than that, GREAT plugin!! I’m blown away by how helpful and accessible you guys are! Thank you sooooo much for answering my questions so promptly, and THEN going out of your way to send me an updated plugin to fix my specific issue. WOWOWOOW!!! Thanks you guys – unbelievable! And DEFINITELY better than ANY other shopping cart customer service out there on the planet – Trust me, I’ve tried several!!! I’ve been using the Wp eStore and eMembership plugins for some time now on a few membership websites. They are very cool plugins and I can see (as a developer) there has been a lot of work, care and attention to detail gone into making the plugins work well within WordPress. I’ve found the plugins easy to install and documentation is really good. I always get a quick response from the help desk team (thanks Ivy), which makes me more inclined to recommend the plugins to my other colleagues in the industry without fear of getting an ear full of abuse – because this stuff works. I bought the whole suite of plugins and for the money, it’s extreme value – you can use it on any number of websites which in today’s age of pay per website install, it’s very refreshing (I’ve tried lots of ecommerce platforms for WP, and this one is great for what I want to use it for). The updates and new releases of the software are what keeps me coming back as the team are always on the ball and creating new features that make using the plugins even more invaluable. I’m looking forward to even more enhancements in the future. you won’t be disappointed, this is a solid investment if you are serious about offering digital content, physical products, memberships and affiliate networks. Try it – you’ll buy it! I originally found the eStore app while searching for a suitable WP shopping cart, I didn’t expect to also have my affiliate programs needs fulfilled. I look forward to having a simple solution to all of my sites needs. You have done an outstanding job! I bought both the WP eStore and WP Stamper plugin as I need the products bought from the eStore personalised before downloading. I messed up the settings and was lost. The support I received was fantastic, working over the Easter long weekend to get the site up and running correctly. The scripts work exactly as it `says on the tin’ and if you do need support you can be sure you’ll get it quickly and easily. Hi, I just wanted to thank you guys for a fabulous product, having just put my Royalty Free Music digital download site live. Whenever I hit a snag and needed additional functionality, invariably wp-estore had it covered and I found the help documentation on your website invaluable. Really – never have I been so impressed with a CMS plugin. Please feel free to use this message in any testimonials you might have and keep up the good work! If you would like to have a look at my site, please visit http://rookieloops.co.uk. Thanks, I bought eStore and the Affiliate program, and am working on the install and setup now. I’m excited to have found this, and am glad to know that you offer real, personal support. Hopefully I won’t need it much, but it makes a difference to know you care! @Matt, I am glad you like our products and support =) We try very hard to make sure each customer gets the support they need. Thank you to all of our customer that take the time to tell use how we are doing. Fantastic plugins and product support is absolutely top-notch. Have never failed to let me down. Professional, knowledgeable and courteous. Wouldn’t hesitate to recommend. I’ve sold books online for years, and I’ve tried different shopping cart systems; but I wanted something better for TheEasyBible.com. WP eStore was the perfect solution. It is by far the best. It’s so easy, so slick, so painless. When I needed an added feature, the developers jumped on that and had it done in a couple days for a reasonable cost. WP Affiliate Platform is equally fantastic. From what I’ve seen, this is simply the best value out there in shopping cart and affiliate software. Just wanted to drop in and say how happy I am with this product, I bought the eStore+Affiliate+eMember, the whole package, for launching my first online course, and I was so nervous as I started to get these plugins to work. I have to say that for me, customer support means the most. If a product is super sleek but customer support lacks, I am likely to pass on it, and that’s one reason I LOVE Thesis – although the product is stellar too – and so back to WPeStore products, I love the support. Ivy has been incredibly responsive and kind, the video tutorials are great and the products are working like a charm on my website. THANK YOU !!! I purchased the cart plugin some months ago and I must admit it’s awesome!!! Love the video tutorials! Hope to see more of these from you. I would just like to express my support and admiration for the eCart plugin. It is far and away better than WP e-Commerce in terms of included features and documentation/support. We’re enjoying it immensely. We love your plugins! they’ve outperformed wp-ecommerce, and all the other major shopping cart players ( DAP, shopp, phpurchase, membergate, amember, memberwing, volusion, bigcommerce, etc.) we’ve tried them all. yes, all of them. @Mikel, Thank you for the comment. We designed the theme and layout ourselves. I am glad you like it we have put a lot of time and effort into making it easy to read and easy on the eyes. Mostly, I want to Thank You for all that you guys do at T&T-hq. I am so new at all of this but the way you guys communicate gives me much more comfort as I go. I believe I was stressing myself out as I read about as many plugin homepages as I could trying to find the ones that I wanted to use. UNTIL I found T&T-hq. So far I have purchased LightBox and have started with it. Soon I will be purchasing eMembers and trying to integrate it with MailChimp. Wish me luck. Again, I just wanted to say thank you. Just been looking through http://www.tipsandtricks-hq.com/ and you guys have really got something going on here. So much support and helpful pages. Really love what you guys have provided. You know I wanted to follow up with you to let you know we’ve bought most everything you guys have and are just thrilled with everything. Super, super stuff. I’ve been a long-time customer of a few of Tips and Tricks plugins (WP-eStore, WP-affiliate, WP-PDFstamper). Not only are their plugins top-notch, but their post-sale customer server goes above and beyond. Ruhul and the entire team are always on hand should any issue arise (though most likely it is non-plugin but rather host related, as was my case). Cheers to a great job from a very satisfied customer! I recently purchased the wp-estore and affiliate platform plugins and just wanted to leave a comment to say thank you for your attention to detail and thoroughness in the coding. I have not used the affiliate plugin yet but setting up the e-commerce plugin has been super smooth and I’m already up and running selling products without any fuss or problems at all. Thank you sooooo much Ivy!!! I am so close to having my site ready. I have self taught from the ground up. What an experience this has been. I have to say thank you so much also for all the tutorials, they have made it possible for newbies like me. I would not have been able to do it without them. Thank you again for your help and such a wonderful plug in!!!! Did I tell you that you guys Rock! If not, thanks again for all of the great plugins you build, sell, maintain, and serve so well. This plugin (lightbox ultimate) works great, as usual. 5 plugins, 3 custom script downloads and 6 hours later… and of ALL of the options, yours was the ONLY one that works effortlessly. Intelligently (thank you Short Code Guy!) and performs without a hiccup. Next Starbucks is on me, my friend. Hey there, just wanted to thank you for creating and maintaining such a slick product. I currently run wp-estore on http://www.halloweengames4kids.com and on http://www.scrapbookingdirections.com (where I sell only digital downloads of craft projects for families and teachers). It really is great to know that you can set wp-estore up – and walk away confidently knowing that it will continue to work and deliver your products as designed – even while you sleep. The peace of mind I’ve gotten from this product is great. As an Internet Marketing Coach by trade as well – I recommend wp-estore to all of my clients. Thank you so much for your hard work in getting my site up and running, your service is excellent! I’ll be using your products again! I just want to thank you Ruhul and the whole team for the great plugins. I started two or three years ago with eStore, eMember and the Affiliate Platform Plugin. I can’t remember why but I change to Wishlist Member which was a nightmare. On my testsites everything was fine but when I went live I had errors and bizarre behavior of the plugin. I even couldn’t reproduce some errors: Sometime they occurred, sometimes not… The support was not always very helpful and so I had to apologize every second customer for some things that didn’t worked. Well, I don’t want to blame WLM, I want to praise tipsandtricks-hq. Because the plugins are very stable, very fast and if there is a problem I can just asked my question in the forum an it’s just a matter of some hours and the problems are solved. Period. No second try, no giving the admin login to my site, nothing. It just works. Well, these are a lot of word just to say how cool your plugins are and how fantastic your support is. Thank you! should (right down to the shopping cart in the sidebar). I will HIGHLY recommend this product to anyone if you want me to. Hey, Just came across your site when I was searching code canyon for a wordpress plugin that could securely sell my digital products. 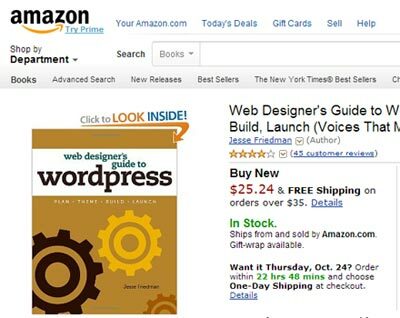 Someone posted a link for the WP eSTore which brought me to Tips & Tricks. Firstly, the eStore plugin is absolutely epic! It’s everything I need to sell my music. So, a massive thank you for that! Also, I watched the videos on the eStore page which use a Vimeo plugin of some sort. Could you tell me what plugin it is please and where I can buy it. It’s just perfect for a documentary I will be posting on my site soon. Thanks again, and I’m so chuffed I came across your site. Just wanted to drop you a line to tell you how amazed i am with your product. I’ve been messing around with WP e-Commerce for weeks now to try and get it configured for my downloadable product… so tired of fixing one thing only to have something else break. I installed your product, did the config, and was up and running in about 20 minutes. Literally 20 minutes. We just wanted to contact you to tell you how much we appreciate your products. We know that people who have complaints have no problem taking the time to complain about products, but we are so truly happy with your products that we wanted to take the time to thank you. We just spent 6 months developing a website for a business that has been 4 years in the making. Our experience is in front end development, design, and SEO. We are not programmers, so we have had plenty of frustration with purchased scripts from programmers, flash developers, etc. over the years. We are honestly blindsided by how great your products are. Our website we developed was pretty much contingent upon having the functionality your products provide. We purchased WPemember and WPestore, and both products are easily the best experience we have had with purchased software scripts. First of all – the instructions are the first legitimately thorough instructions that have ever come with a product! We seem to experience repeatedly that programmers and flash developers assume their customers have the same skillset as they do – we wouldn’t be purchasing the products if we did haha! So thank you for your videos, and information – genuinely THANK YOU! On top of the product presentation, the actual functionality literally provides everything we needed. It’s as if you guys predicted everything a customer would want to get out of the product. And you guys sell this product at an incredibly affordable price. We know this comment may sound cheesy, but we are genuinely grateful for the quality of your products. Your products have made our business possible, and we feel like every software developer could follow your lead for a business model. Thank you again so much, and we wish you continued success with your business. You probably hear this a lot but I say one can never hear it enough: What a great plugin! It’s east to set up, works exactly as it’s presented and the tech support is timely, polite and effective. I know it can be tiring dealing with so many little shopkeepers and their individual problems, but I’ve never been made to feel dumb or like I’m wasting your time with some amateurish request. And how about this: we ask for a special feature and nine times out of ten, we get it added straight away. I have had three personal requests for modifications and have had all three added to the plugin within a day or so, amazing. Thanks for the great work. Will definitely be using more of your plugins in the future. Thank you for the reply, sadly if I would have done a bit more research before contacting you I would have found out sooner that eMember is EXACTLY what I need and I wouldn’t have wasted your time. I have already purchased it and am in the process of setting it up. I can’t believe I didn’t realize sooner that it would do everything I want, and it integrates perfectly with the cart and affiliate plugins as well. Thank you guys for making such wonderful products, it really is the best $100 I have ever spent on WordPress software and it has changed the way I do business. I am also thinking of starting an e-commerce website, I guess I will have to use your plugin for that. Thanks for everything, nice testimonials you have got here. Thanks so much, we love your products and they are so easy to use. They make our jobs so much easier. Great ecommerce plugin…I researched and tried out several…this one is soooo easy to use and the support is phenomenal. The documentation is clear and easy to follow. I’ve already used it on three client sites so far. I also use the eMember plugin on two of those sites and the integration is wonderful. Hi, I used the wp estore to set up this website for a jewelry designer. The tips and tricks were incredibly helpful! I purchased WP eStore a few days ago, and I’d just like to say that I LOVE it. I had tried OSCommerce beforehand, as I have a static website and was only going to use WordPress for it’s blogging features. However, finding WP eStore has since made me rethink that strategy, and I’ve incorporated WordPress into my static site in almost all respects. Using WP eStore, I was able to create a storefront with thumbnails and descriptions, and a sidebar shopping cart. Thumbnails link to lightboxed images, Product names link to Product pages with more details, and another shopping cart. Everything works so seamlessly, I can’t even believe it. I even bought the WP eMember plugin and have been using it to require people to sign up before they can checkout, and to protect my Freebies section. I’m hoping to get member profiles and order histories working today or tomorrow. I can’t believe how much I’ve done in how little time, by using WordPress (and with NO HTML, PHP or Java experience!). Thanks so much for the site !! It has been most helpful to me in helping me set up my eCommerce site. Much appreciated. Hi Lawrence, Thank you for your kind words about us. We love to hear from our customers. =) We are also glad to hear that you are enjoying our plugins. We try very hard to make our plugins easy to use across the board (for different user levels). A huge shout out to the team at Tips and Tricks for providing the most fantastic, easy to use, robust plugins for WordPress.. I highly recommend eStore and eMember products – simply awesome! Just thought I’d post a heartfelt thank you for the support received with a little headache I was having. Ivy went out of her way (imho) to investigate the source of my problem in my WP backend, AND researched the problem online, AND emailed me back with a link to some encouraging news. Want to know the best part? It turns out this problem had nothing to do with WP-Affiliate-Platform. I just want to say thanks for having such cool plug-ins. I have been looking for almost a month for WP Plugins that do what your products do. Though I have found various plugins on different sites, none of what i have tried so far have been satisfactory. I have already installed my new plugins on my site and so far so good. I like the way everything is nice and organized and easy to use. Hopefully I won’t have too many problems getting everything to flow smoothly. Without a doubt eStore is the best wordpress shop plugin. Simple, easy to handle and works very well. After searching and trying a lot of shop plugins I use eStore and I´m happy. With best regards form a lucky German customer. We have used your fantastic plugin for our clients Yachting website. After countless hours of trying other plugins we found yours and not looked back – it meets our requirements as well as being easy for the client to use. These are without doubt the best value and highest quality plug-ins I have encountered and with such amazing support I would recommend them to anyone. The service I received from Tips & Tricks HQ when putting together my website was exceptional, to say the least. With every single issue I encountered they responded promptly and answered each and every question with clarity and precision. Great job! Ok, thanks very much again. I appreciate your customer service. I’ve gone through a small number of different website store software programs and your’s has been the easiest to work with and the most error-free. I greatly enjoy the way you handle products buttons – not confining me to using a preset theme style. Please don’t change this. With more automated programming comes more potential problems. I appreciate the simplicity of your software. today… and it’s working great. Kajabi that everyone is hyping up. I just wanted to let you know i purchased the eStore plugin yesterday and am very impressed. I have been researching for an option to sell digital products for a few months and finally decided on yours. What a great decision. I had it installed and up and running in minutes. Very intuitive and a breeze to work with. Your setup video answered all my questions and walked me through the process without a problem. found. I checked nearly EVERY SINGLE ONE. And support – probably defines the concept of offering support to customers. you are definitely the most awesomest 🙂 wordpress-angel around – Ivy. I am in the process of setting up a template sales website, and was looking for a good PayPal cart plugin to make the process as automatic as possible. I stumbled onto your WP eStore product, and after trying the free PayPal plugin for a day, was so impressed I purchased eStore. While my site will not launch until mid-October, I am writing to say that your product is breathtaking, both in terms of what it does, and the support behind it. I have a long personal history of customer service, both live and online, and I have to say that I’m truly shocked by the exceedingly high level that you demonstrate. The plugin itself does everything I want, and offers an incredible amount of options should I decide to go in other directions. Many times you purchase something online and have to kludge it. 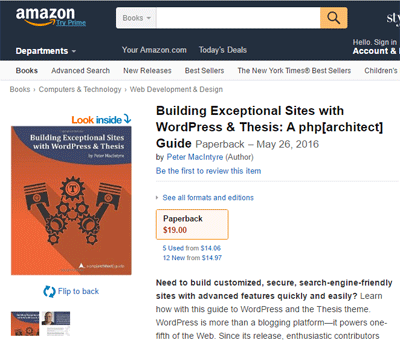 WP eStore is not only elegant, but one of the few times I was happy to purchase it. It is simply fantastic, and a great bargain. And as good as it is, the support behind it makes it even better. I’ve had a few questions in setting the various options, and have found the answers in your site. The links to things like expanded shortcodes, PHP workarounds, etc. belie the sheer amount of work put in behind the scenes to make it all possible. I am very impressed. Thank you for such a wonderful product. Thank you for the service and support that enhances it. I am really amazed. Please keep up the good work, and when it’s a grind, remember that people like me appreciate all that you do. I meant to say this the other day: your customer support is EXCELLENT! Pre-sales or post sales, you always get back, and so quick too – it’s such a pleasure to work with you! I’m having ongoing problems with WP Ecommerce – even though highly popular I think they don’t have enough staff or the right attitude. Their affiliate plugin is $99 and it’s a nightmare, and Gold Cart plus Member Option is $65. Your WP Affiliate Platform is a breeze and I’ve just had a browse through the eStore options: I’m blown away! Secondary currency display? And there’s me thinking “gee, it’ll be really difficult to decide which curency to bill in… local is good, but US Dollars speaks better to the rest of world”. It’s this wide-sighted thinking that I find so helpful. This is really exciting. We purchased the e-store / affiliate / membership plugins last week and installed them on a site we’ve recently launched. We are also using MailChimp for our newsletters and created a customer-only newsletter. This morning, I woke up to a “Notification of ….. Product Sale” , “New Subscriber to the ….. Customers” and “Notification of Payment Received”. I also received a copy of the email that the customer received, all links for downloads in tact. Superb! Yes, we did our own tests first before launching, but this was the first customer sale since using these plugins and just knowing that everything worked, on auto-pilot, was fantastic. There’s nothing more gratifying knowing that your website is working for you 24/7 and you can literally make money while you’re sleeping. I would recommend these plugins to anyone. One of the biggest drags of doing simple e-commerce is knowing exactly in which medium to develop a site and then how exactly to use PayPal. I’m currently working with a client whose site will best be served by WordPress and I hit on this particular plugin right away. Never have I had the pleasure of a plugin that worked on the first shot with minimal effort! I’m so grateful to these developers for saving me hours upon hours of creating separate scripts to handle purchases! Good morning, yesterday I purchased your eMember plugin and I updated eStore & Affiliate (I have bought a year ago). Your plugin are AMAZING! The integration between them and wordpress is excellent! And support? Great I am very excited about your work. I just spent two day haggling with wp-ecommerce from getshopped because I thought the interface would be easier. But I can’t get it to handle subscriptions or work with WordPress 2.9. Plus, their documentation is way behind, and the lack of answers on the forums left me digging around for answers unsuccessfully. Once I dove into eStore, I found it pretty intuitive. And being able to put products into posts eliminates the need to create some separate feed. Great plugin! I bought from you estore, emember and affiliates plugins. I would like to thank you for all. I tried a lot of plugins, scripts and so on. It’s the first time I fell an excellent job. Everything’s working fine on the first try. If not, you’re there to guide us towards good walk to be followed OR to create an extension (or upgrade) juist for us. This post it’s just to say the bigger “thank you” that I never give to a team. Great job and keep goin’. sorry for my bad english….. Thank you for thinking about the design of your estore plugin. * It is a dream to use and functions well. * It is reliable and has worked well for me. Again, thank you for a well designed and executed product. I recommend it to both newbies and old hands alike. I’m very happy with eStore. It a product that still in infancy in some areas, such as sales reporting, but in other areas, it’s much better then the big boys of WordPress Commerce plugins. I started to use eStore, integrated with the affiliate plugin about two months back. I’m pleased to say that everything is working 100%! I’ve handled close to 500 transactions with this plugin with maybe 4 or 5 glitches. Most of these can be attributed to user error and network issues, so no fault to eStore. Again, comparing this to other plugins that cost much, much more, this plugin is a dream to use and pleasure to own. I’m going to be definitely rolling it out to more websites in the near future! Highly recommended and two thumbs up!